Part Deux: Is TV the right place for a QR code? Home / Social Media / Part Deux: Is TV the right place for a QR code? Recently, while doing chores around the house with my favorite TV show playing in the background, out of the corner of my eye, I caught a glimpse of a QR code on TV. I had to look twice because, up until then, I’d only seen codes on printed materials. I know the tactical advantages of QR codes placement in magazine ads, on POS materials and other printed materials like invitations. But TV? I wonder how many people would take the time to think, “Hey! That’s a QR code! I need to scan it.” Then rewind their DVR (and the whole world has DVR, right? ), find just the right spot in the commercial, pause the DVR, get out their smart phone, open the QR code reader app and scan the code? That seems like an awful lot to ask of a consumer. Maybe the more important questions are, how many people know what these codes are? And how many people, assuming they do know what to do when they see a QR code, are going to have a TV big enough, with a clear enough picture to actually get the code to work? QR codes are familiar to a limited number of early adopters but are already streamlining how information is received. These codes are taking messaging and communication to a whole new, faster level. But even with their contribution to the communications field, it seems the codes may be better suited for use with some mediums rather than others. A blog recently written by Clarity Digital supports my thinking. 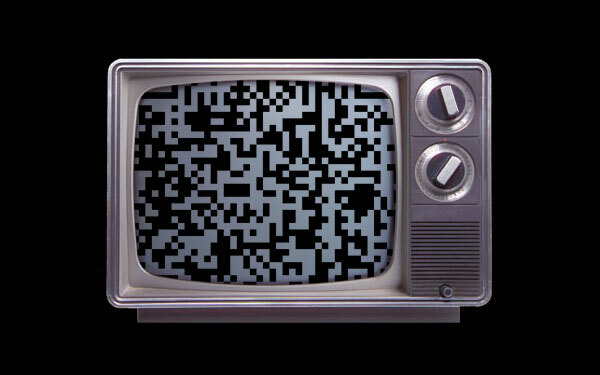 But what are your thoughts on QR codes on TV? What’s next? Billboards?